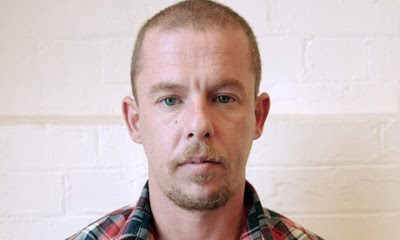 So so sad to be reporting this news, but Alexander McQueen, British fashion designer has been found dead. It's been reported the designer committed suicide - however, I am yet to believe this until a FULL statement has been released. We all know how incorrect the media can be at reporting things (tut tut). He was found dead at his home in London, aged 40. His death comes just DAYS before the start of London fashion week and only a month before he was to unveil his brand new collection at Paris fashion week. "On behalf of Lee McQueen's family, Alexander McQueen today announces the tragic news that Lee McQueen, the founder and designer of the Alexander McQueen brand, has been found dead at his home. At this stage it is inappropriate to comment on this tragic news beyond saying that we are devastated and are sharing a sense of shock and grief with Lee's family. Lee's family has asked for privacy in order to come to terms with this terrible news and we hope the media will respect this." McQueen was a four-time winner of the British designer of the Year Award, as well as the International Designer of the Year Award. This is really awful news to hear of such an inspirational and talented British designer. RIP Alexander McQueen.